TUCSON, Ariz., October 11, 2018 – For substance abuse care, America’s Rehab Campuses (ARC) has established itself as a treatment leader with top-quality treatment programs for Arizona and California residents. The initial treatment for addiction usually begins with medical drug and alcohol detox to wean clients off of substances or alcohol. Over time, using some substances will create dependence. With dependence, the human body may have adapted to having a drug in its system, leading to painful and sometimes life-threatening withdrawal symptoms. Drug detox is a way to help one overcome these symptoms. Clients will get the care they need from a team of medical professionals who will monitor their condition and do what they can to relieve symptoms. In many cases, this involves receiving medications to alleviate pain. After finishing up with detox, clients will have their choice of two primary treatment programs — inpatient or outpatient therapy. With residential inpatient treatment at America’s Rehab Campuses, clients will live at a facility while receiving help with their substance abuse. Inpatient treatment can be long-term or short-term in nature. Generally, long-term programs last for six to 12 months, while short-term programs last for three to six weeks. Inpatient treatment also covers recovery housing, which offers clients a place to live while trying to get back on their feet in the real world. These drug abuse programs teach clients to re-socialize in healthy ways, to be a part of a community of like-minded individuals going through the same issues. Because the environment is very structured with 24-hour care, this is a good option for more serious addictions. Unlike inpatient treatment, outpatient treatment clients live at home while receiving care. Because of this, outpatient treatment is often far more affordable for people who don’t have insurance or enough money to cover the boarding costs of inpatient care. For outpatient treatment, people need to be sure they are in a safe and supportive home environment and have a network of friends and family to help. Outpatient treatment can vary in intensity. Many people go to outpatient programs after an inpatient stay. Clients can expect to spend a few hours a week in treatment, so they should be able to maintain a normal job or go to school. Intensive outpatient treatment is almost a hybrid of inpatient and outpatient therapy. While clients live at home during treatment, they’ll spend the majority of their day getting care in a facility. This will include counseling, therapy and group work to help clients learn the behaviors they need to beat addiction. 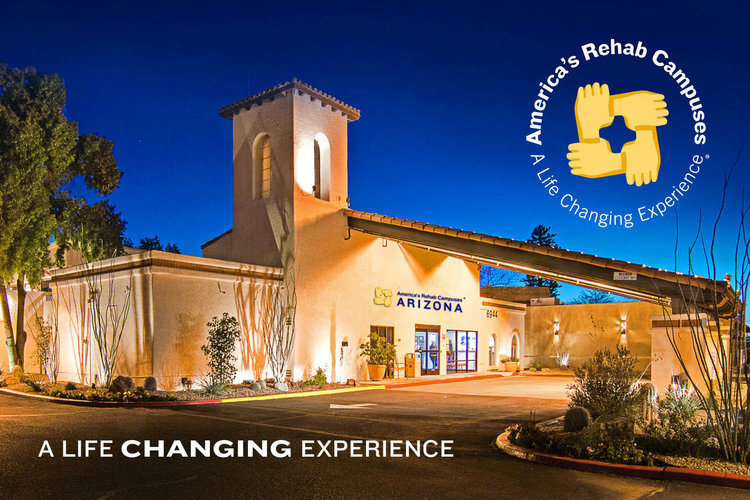 America's Rehab Campuses is a modern state-of-the-art drug and alcohol treatment provider with locations in Tucson, Arizona, and Dana Point, California. ARC is a fully integrated recovery provider designed for dual diagnosed and Co-Occurring Disorder patients. Our programs have been thoughtfully designed to individualize treatment for each client. Services include medical detox, inpatient rehab, intensive outpatient therapy (PHP & IOP) and residential treatment (RTC.) All staff members are licensed and highly experienced, serving clients with the utmost respect and compassion. This continuum of care allows ARC to provide a personalized approach using serious neurobiological science and leading-edge medically assisted therapies.